TOWN OF DOVER, Wis. -- Authorities believe a woman who escaped from the Robert E. Ellsworth Correctional Center Thursday broke into a nearby home and stole a pickup truck. The escapee was identified as 36-year-old Christine Abel. The Racine County Sheriff's Office was alerted to a break-in at a home 2 miles away from the prison at around 9:30 p.m. 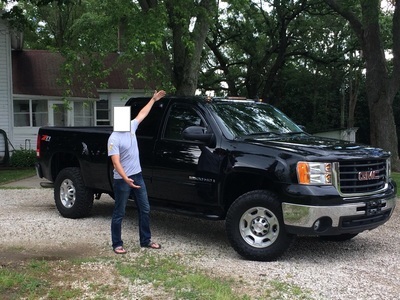 Someone stole a 2007 black GM Sierra pickup with a registration plate of MZ1698. An hour later, the prison reported Abel missing during a head count. She's described as a white female, 5-feet-1 inches tall, 110 pounds with blue eyes and brown hair. Abel is from the Brown County area and has a history of burglary. She was serving felony burglary charges and wasn't set to be released until 2020. The truck has mud terrain tires, a spray on bed liner, a small lift/leveling kit and gooseneck hitch in the truck bed. Anyone who observes the escapee or truck is urged to call 911, but authorities say you should not attempt to make contact.